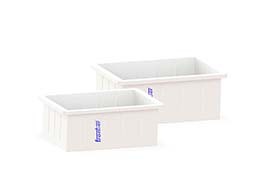 Frontier offers a wide range of containers for electroplating, galvanizing, powder coating, phosphating, and pickling. 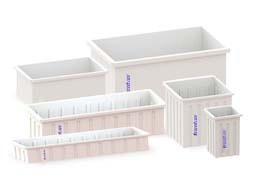 Our rectangular containers have proved their worth in these industries. 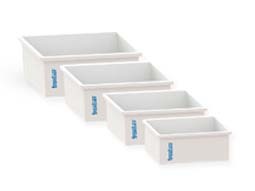 These seamless containers can be made in PE or PP depending upon the customer’s requirement. 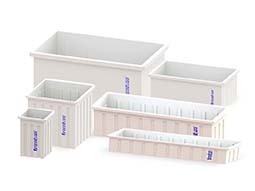 With PP we can offer containers, which can withstand up to 100 deg C of constant temperatures. Frontier containers can also be welded using the latest welding techniques to offer our customer custom sizes of containers. 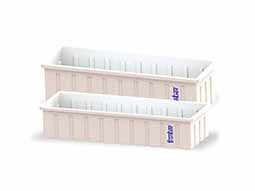 These containers can also be welded together at site based on the requirements.